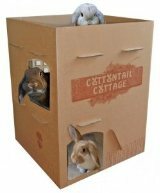 San Diego House Rabbit Society: Supporting local shelters, educating the public, and serving the needs of companion rabbits within our community - for 20 years! San Diego House Rabbit Society (SDHRS) is an all-volunteer, nonprofit organization that works within San Diego and Southwest Riverside Counties to assist shelters in caring for and placing abandoned rabbits into new homes. Rescue includes working with local shelters to prevent them having to euthanize adoptable rabbits due to lack or room or ability to care for them. We take in rabbits when the shelters are overflowing, and when a particular rabbit has a treatable medical condition or behavioral issue. Rescue also includes the spay or neuter of more than 300 rabbits each year. SDHRS does extensive fundraising in order to afford the costs of spaying or neutering, and providing additional medical care to HRS fosters and shelter rabbits. One way we earn money is through our hay sales program. We also welcome donations from individuals and organizations who support our goals. Adoption is the part of our program that finds new homes for previously abandoned rabbits. The rabbits we take in come from shelters or other HRS groups. We do not have our own shelter, therefore we cannot take in owner-relinquished or 'found' rabbits. These rabbits need to be placed into shelters or humane societies where we then provide support through our shelter programs. We hold bi-monthly adoption events for HRS foster rabbits, placing them into new homes. We screen all potential adopters in order to recommend the best match for them and the rabbit. If you are interested in learning more about adoption of an HRS foster rabbit, please visit our Adoption Guidelines. To start the adoption process, go to our online Adoption Form. See adoptable rabbits at SDHRS Foster Rabbits. Education is one of the most important aspects of our program. We spend countless volunteer hours reaching out to our community to help them understand the commitment of taking a rabbit into their home, and how to properly care for it. Our philosophy is "A rabbit's place is in the home." That means "inside" the home, being cared for as a companion to the family, with the same status afforded a companion dog or cat. Our extensive website provides adoption and care information about rabbits, and we also are available by email at these contacts. To learn more about the care of your rabbit companion, visit our Events page to find out about upcoming classes on rabbit care. We have a monthly Speaker Series program with many topics of interest to rabbit lovers, and unlimited opportunities for you to learn. If you'd like to volunteer with SDHRS, visit our Volunteer Page. Visit our Photos page to see photos from our events, including Bunnyfest. Learn more about San Diego House Rabbit Society at www.sandiegorabbits.org.